There have been many unexplained disappearances of aircrafts over the years. There’s no denying that the Bermuda Triangle is a hot spot for planes disappearing, but there are countless other locations around the world where airliners have seemingly vanished into thin air. Other times, aircrafts suddenly crashed with very little warning. And of those crashes, the wreckage discovered often leaves experts with more questions than answers. From the disappearance of Flight 19 over the Bermuda Triangle, to MH370 vanishing, to a hijacker that jumped out of a plane only to disappear without a trace, today we detail 10 of the most fascinating aviation mysteries of all-time. 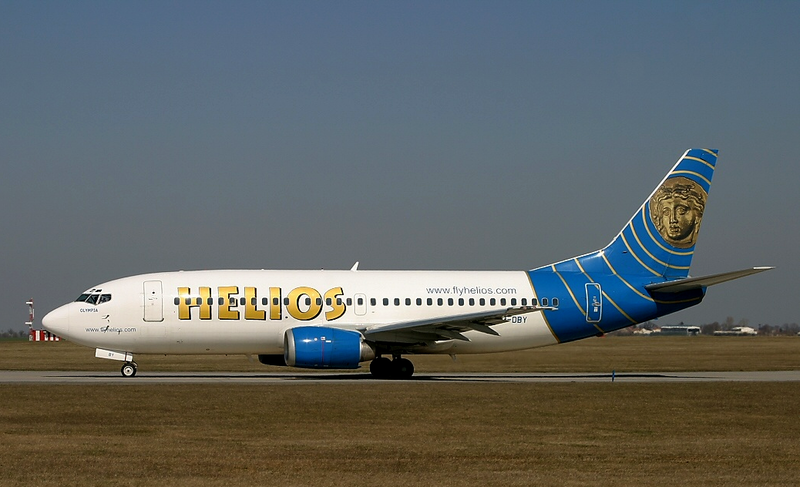 In August 2005, Helios Airways Flight 522 was on its way from Cyprus to Greece when air traffic controllers lost contact with the aircraft. After losing contact with the plane, two Greek fighter jets went out searching for it and when it was located, they noticed the two pilots slumped over the controls. The fighter pilots then noticed a steward, who was holding an oxygen bottle, breaking into the locked cockpit and attempted to take control of the plane. Unfortunately, he was too late and the plane ran out of fuel, crashing into the hills near Grammatiko, killing all 121 people onboard. After an investigation took place, it was announced that the cabin lost pressure which left the crew unconscious, although they had previously tried to pressurize the cabin but failed. While we know what happened to the aircraft, a big question still remains: is it in fact safer to lock the cockpit doors? After the terrible tragedies of September 11, 2001, locked cockpits were the normal procedure, but it makes it much more difficult for the flight and cabin crews to communicate. And had the crew of Helios Airways Flight 522 been able to enter the cockpit sooner, the crash may have potentially been avoided. In March 1962, during the Vietnam War, the U.S. Army Flying Tiger Flight 739 was carrying 96 soldiers and 11 crewmen from Guam to the Philippines when it vanished over the Mariana Trench in the Pacific Ocean. Crew members of a Standard Oil tanker reported seeing an explosion in the sky about an hour after the aircraft made its final communication, although no distress signals were made by the pilots. Numerous aircraft and ships searched over 200,000 square miles for eight days looking for the missing plane, but no wreckage was ever found, sparking several rumors as to what really happened. One of those theories is that the U.S. government accidentally shot down the aircraft and tried to cover it up by saying the crash most likely happened due to engine and communication failure. In March 1956, a Boeing B-47 Stratojet was flying from MacDill Air Force Base in Florida to Ben Guerir Air Base in Morocco when it disappeared over the Mediterranean Sea. After completing its first refuelling stop without any problems, it was time to refuel again, so the aircraft began to descend but didn’t make any contact with the tanker. While an extensive search was conducted, no wreckage was ever found and the crew members were declared dead. The unarmed aircraft had two capsules of nuclear weapons material in carrying cases onboard, so the theory of a nuclear detonation wasn’t a possibility. And interestingly enough, the nuclear weapons were never found, either. In July 1996, Trans World Airlines Flight 800 was flying from New York City to Paris on an overnight trip when it suddenly exploded and crashed into the Atlantic Ocean about 8 miles off the coast of Long Island, near East Moriches, New York, killing all 230 people onboard. The plane exploded just 12 minutes after takeoff, while it was at an altitude of around 13,700 feet. While the U.S. government said that a combination of fuel and air had ignited in the fuel tank, many others believe that it was hit by a missile. The center part of the aircraft fell first, followed by the forward fuselage, the wings, and the remaining part of the fuselage. After working for over 10 months in water around 120 feet deep, divers were able to recover the remains of all 230 victims, as well as about 95% of the aircraft. Investigators said that the explosion was due to an electrical short circuit that affected the fuel gauge wiring in the tank. There was, however, explosive residue found inside of the cabin but they explained that by an explosive detection exercise that had taken place on the aircraft. Since 258 people who were interviewed by the FBI claimed to have seen a streak of light that approached the aircraft just before it crashed, many have speculated that it was instead shot down either by terrorists or by a mistake made by the U.S. military, leaving people with more questions than answers as to what really happened to TWA Flight 800. In October 1999, EgyptAir Flight 990 flew from Los Angeles to New York City, where it made a stop before continuing on to Cairo, Egypt. Less than 25 minutes after taking off from John F. Kennedy International Airport, the aircraft crashed into the Atlantic Ocean around 60 miles south of Nantucket, Massachusetts, killing all 217 people on board. While the U.S. National Transportation Safety Board claimed that it was the actions of the co-pilot that caused the plane to crash, Egyptian authorities said it was because of mechanical failure. The plane began to descend very fast (approaching the speed of sound) at a 40 degree steep angle before regaining altitude, then changing directions. It then lost its left engine before descending again and crashing into the ocean. Since a large group of passengers on the plane were military officers from Egypt, some have speculated that the flight had been targeted by the country’s enemies. According to the cockpit voice recorder, the pilot went to the washroom, leaving the co-pilot alone. At that point, the autopilot was disconnected and the plane began its descent. When the pilot returned to the cockpit, he was heard asking the co-pilot what had happened, with the co-pilot answering “I rely on God.” Was it the co-pilot who caused the crash or was it mechanical failure? We may never know the answer. The Clipper Romance of the Skies – also known as Pan Am Flight 7 – was the most luxurious and biggest aircraft of its time. It was in the process of conducting a flight around the world with 36 passengers and eight crew members, departing from San Francisco with its first stop scheduled for Hawaii. That was, however, until it crashed in November 1957. At 16:04 Pacific Standard Time on November 8, the pilot last reported his position, and that was the last time anyone aboard the plane was heard from. One week later, several of the victims’ bodies were recovered from the ocean. The most interesting fact is that their watches showed a time of 17:25 PST. So, what happened in the 81 minutes between the last communication from the aircraft and when it crashed? While many theories have circulated on what actually happened, some people believe that a couple of bad men boarded the plane – one of which owed a pretty big debt and the other who was called a “psycho” by people in his hometown – and they may have brought the plane down. Another theory is that the propeller shattered mid-flight because the engines were so powerful. Some of the bodies recovered were wearing life vests, and a large amount of carbon monoxide was detected in several of the bodies. What exactly happened on that flight still remains a mystery. In December 1945, six planes vanished in the Bermuda Triangle and have never been recovered. Five Avenger torpedo bombers (known as “Flight 19”) took off from their base located in Fort Lauderdale, Florida, for an exercise run. The pilots encountered problems with their compasses and lost communication with the ground crew, although the ground station was still able to hear the pilots talking to one another. The pilots appeared to have been confused as to their location and they all decided to crash-land their planes in the water once their fuel dropped below 10 gallons. A huge search and rescue mission took place for five days that covered 700,000 square kilometers but no wreckage was ever found. In fact, another plane that had 13 people on board also disappeared and was never found. Apparently, an ocean-liner that was in the area reported seeing a huge fireball in the sky. But to this day, none of the six planes or the passengers have ever been recovered, which adds to the mystery of the Bermuda Triangle. Amelia Earhart set many flying records during her life, including becoming the first woman to fly solo over 14,000 feet in 1922, and then in 1932 when she was the first woman to fly alone across the Atlantic. But tragedy stuck in July 1937 when she disappeared while flying around the world. Her twin-engine Lockheed Electra vanished close to the International Date Line in the central area of the Pacific Ocean. The only clues that were left behind by Earhart were a few unclear and garbled up radio transmissions. There have been several theories as to what happened to her, such as the possibility she abandoned the airplane and died in the water. Other, stranger theories have surfaced, such as the idea she may have been stranded on an uninhabited island for several years all alone, or that she may have been captured and killed by the Japanese government. Some have even suggested that she just wanted to disappear from the public eye so she faked her death and lived in New Jersey under a different name. Although the wreckage of her plane has never been found and she was declared lost at sea, what really happened to Amelia Earhart still remains one of the greatest mysteries of the 20th century. One of the greatest unsolved mysteries of all-time doesn’t involve the disappearance or crash of an aircraft, but rather a man who hijacked a plane and seemingly vanished into thin air after jumping out with a large sum of money. In November 1971, a commercial plane was traveling from Portland, Oregon, to Seattle, Washington, in a seemingly normal flight. A male passenger who was around his mid-40s and about 6-feet tall, and who said his name was Dan Cooper (or D.B. Cooper), handed a flight attendant a note that said he had a bomb in his briefcase. He then showed her the inside of his briefcase, which contained several wires, red sticks, and a battery. At that point, he asked for four parachutes and $200,000 in cash. When he received the items in Seattle, he let all of the passengers leave the plane, except for a few crew members. Somewhere between Seattle and Reno, Nevada, Cooper lowered the rear steps and jumped out of the plane (with the money), never to be seen again. While countless searches were conducted to try and find him, it was as if he just completely disappeared. To this day, no one knows who D.B. Cooper actually was, or what became of him. On March 8, 2014, the world was left shocked when Malaysia Airlines Flight 370 seemed to disappear off the face of the Earth during a flight from Kuala Lumpur to Beijing. Extensive search efforts were conducted from the Indian Ocean west of Australia to Central Asia to try and located the 227 passengers and 12 crew members, but no bodies were ever recovered. With no warning or explanation, the aircraft’s transponder was switched off shortly after communicating with air traffic controllers. The aircraft had then turned toward the west for no apparent reason, as it was completely off track from its initial destination. Since nobody knew for sure where their aircraft may have potentially gone down, several pings from a black box were heard around 1,200 miles northwest of Perth, Australia, but searchers were unable to determine the exact location of the box and it’s never been discovered. Numerous theories have surfaced on what may have happened to MH370, such as mechanical failure, to hijacking, to even pilot suicide. Since July 2015, several pieces of debris have been recovered, but only a very few were confirmed to have come from MH370. Debris has been recovered from the French island of Réunion, as well as the shores of Tanzania, Mozambique, South Africa, Madagascar, and Mauritius. In July 2018, the Malaysian government issued a report claiming that mechanical malfunction was very unlikely, as the change in the flight path occurred from manual inputs. So, who caused the plane to disappear? Why did they do it? And most importantly, where is it?